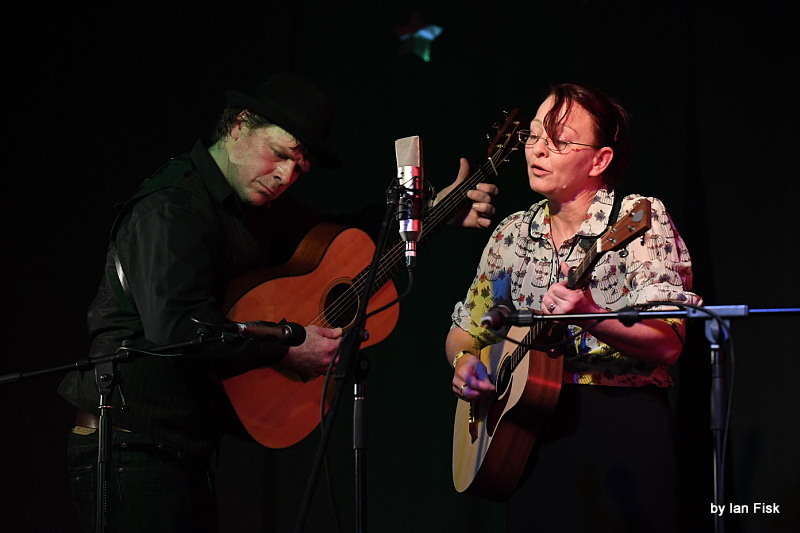 Slim Dime are an acoustic duo featuring old-time mountain sounds, seamless harmonies and some mighty-fine pickin’. They make music that sounds as though it’s always existed somewhere on a mountaintop. Their material is both original songs and traditional songs made new. 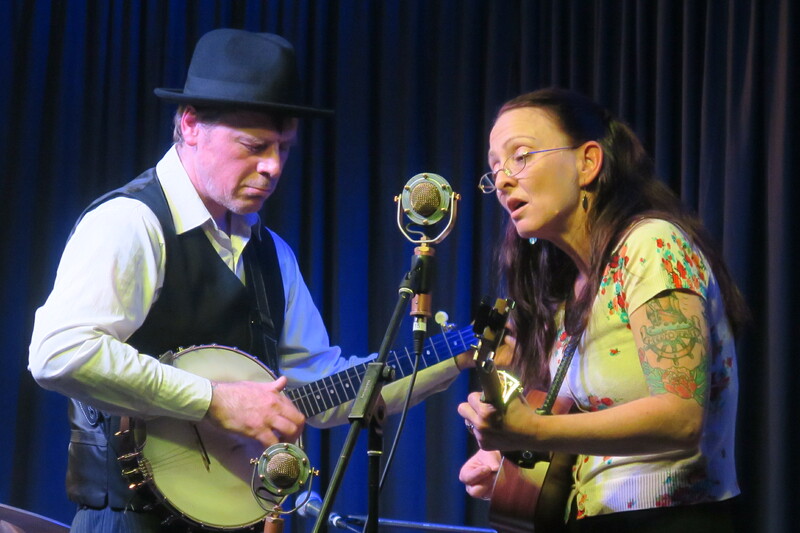 They reference the old time and bluegrass repertoire and write original compositions with mesmerising story telling and precise musicianship with a broad emotional range. It’s music that makes you lean in and listen. 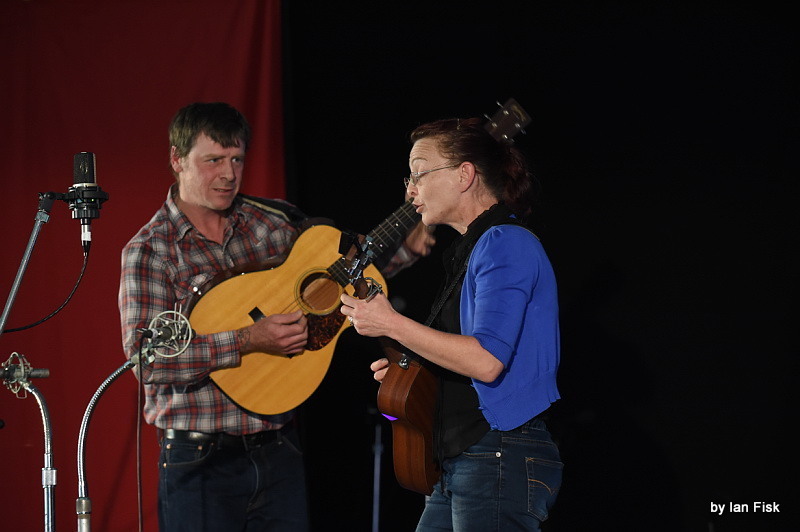 Slim Dime are Jen Land on acoustic tenor guitar and vocals and Chris Taylor on acoustic guitar, banjo and vocals. Jen Land’s voice tells stories with nuance and emotion. Chris Taylor’s playing is intelligent and idiosyncratic. The songs talk of lives lived and lessons learned, of sorrows and of loss, but there is redemption too, and even joy. They journey through a country and folk music landscape of mountain shadows and careworn folks and beauty found in unlikely places. 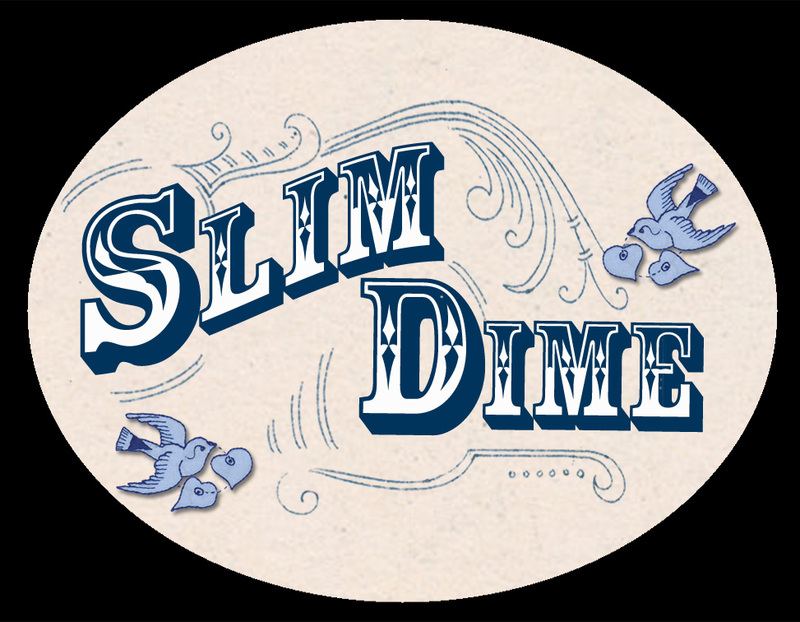 Slim Dime are as comfortable on a Festival stage or sit-down venue as they are in a Pub or Bar. 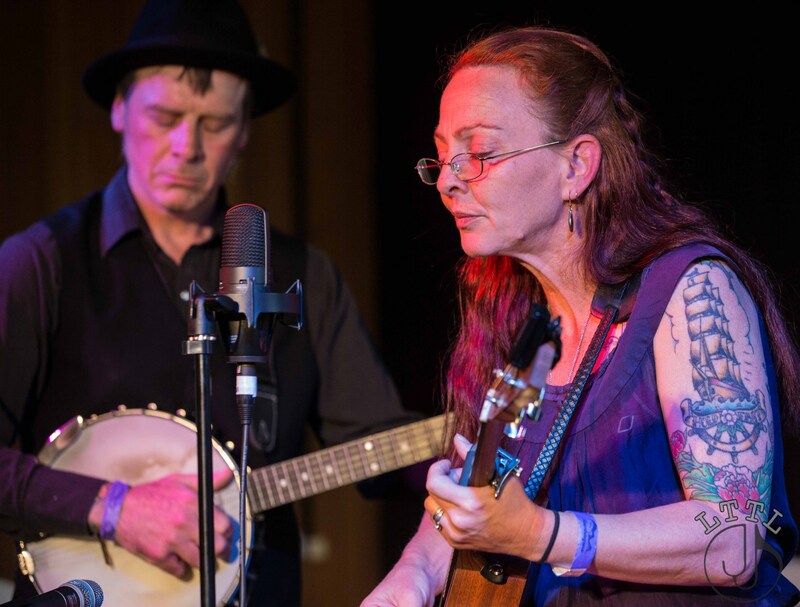 Travelogue, their second album, journeys through a country and folk music landscape of mountain shadows and careworn folks and beauty found in unlikely places. There is coming home and there is leaving. The production is understated and warm and real. Recorded by Matt Walker and Rowan Matthews at Stovepipe Studios, produced by Matt Walker and mastered at Deluxe Mastering by Adam Dempsy. All 13 songs were recorded live by a collection of beautiful vintage microphones. 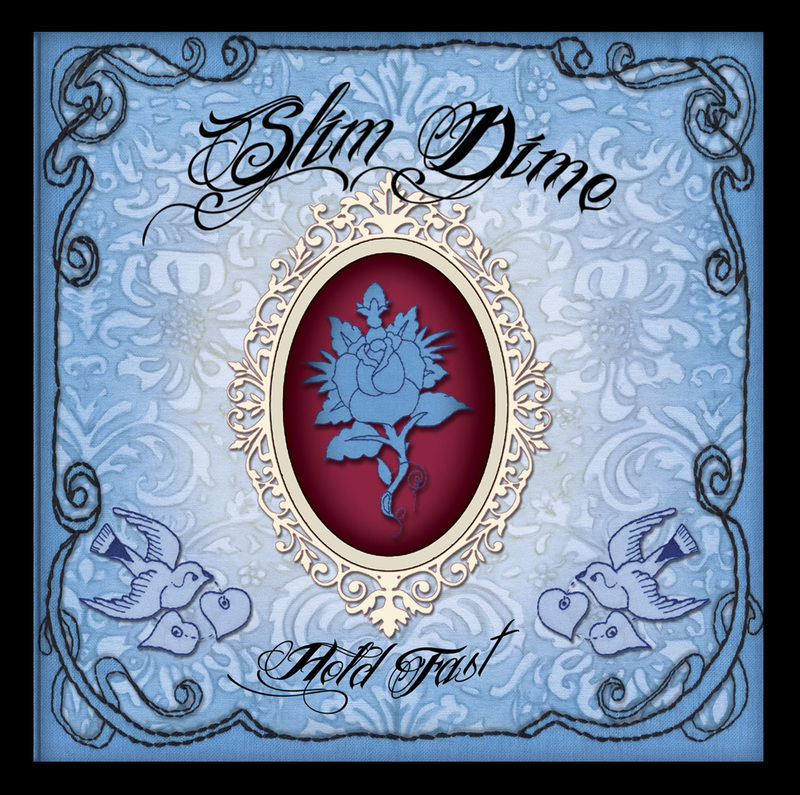 All Slim Dime music is available through iTunes & CD Baby. 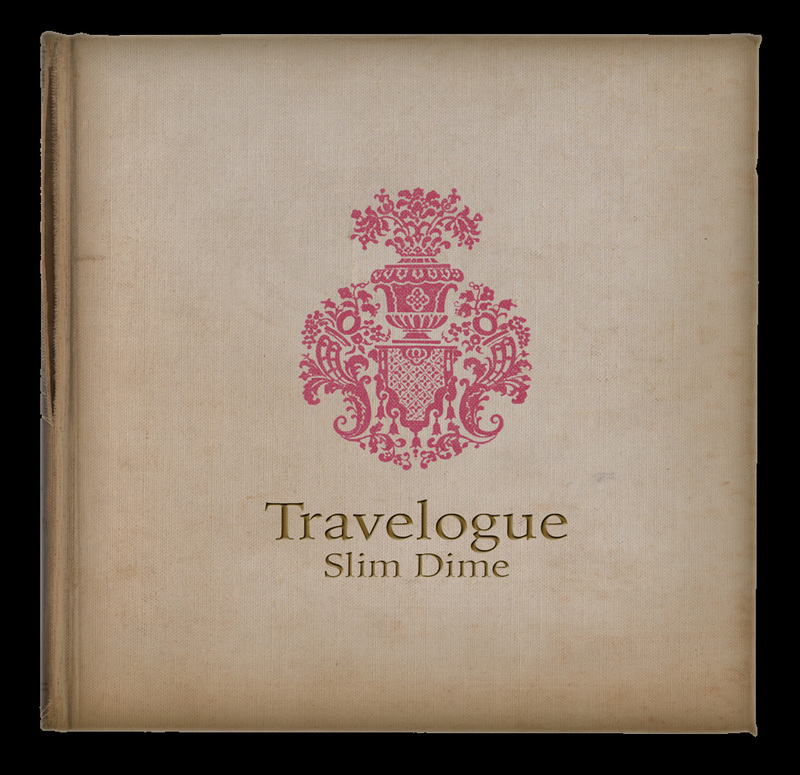 Click here for Slim Dime store. Head here for a list of upcoming and previous shows.